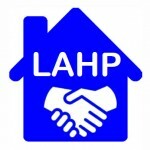 Los Alamos Housing Partnership, Inc. (LAHP) is a 501©(3) non profit corporation that assists households in purchasing homes in Los Alamos County, develops new affordable housing and assists homeowners in Los Alamos County to improve their homes. We also provide consulting services to local governments in creating affordable housing plans and housing assistance programs compliant with NM Mortgage Finance Authority guidelines. 4 To provide new opportunities for decent, affordable housing.